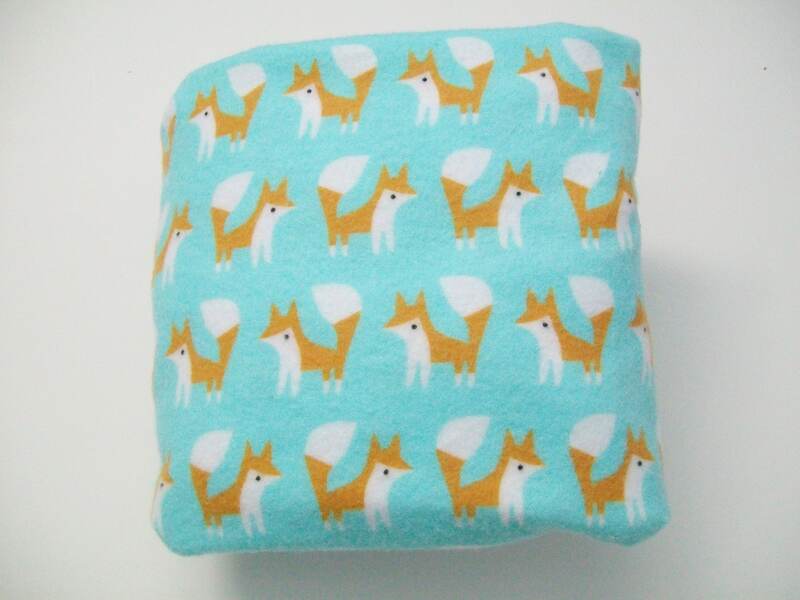 Adorable and soft flannel changing pad covers. 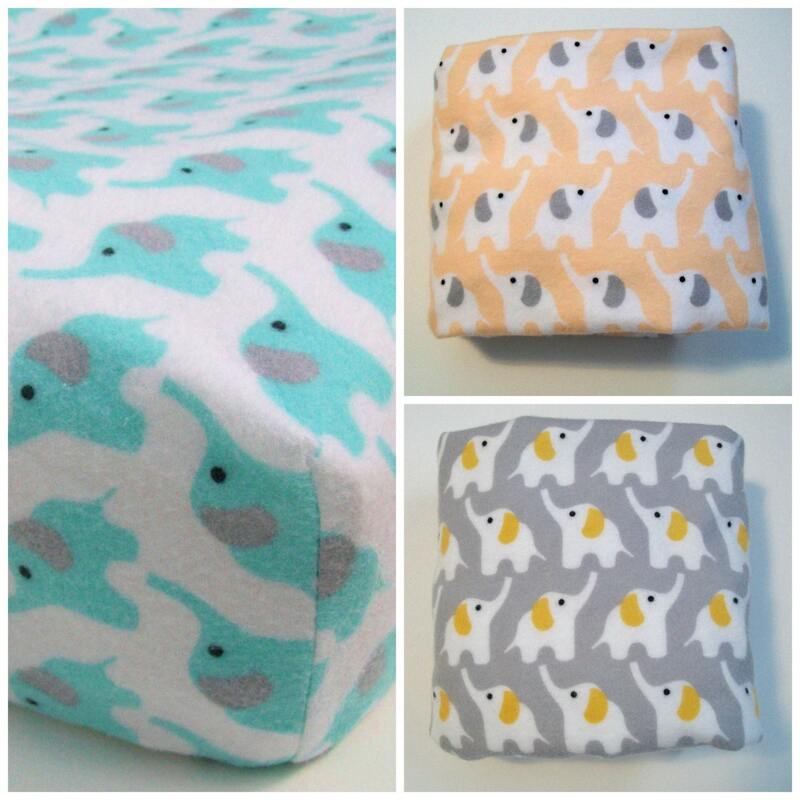 Sweet 100% organic flannel cotton fabrics from Cloud9. Super soft for delicate skin! Choose the fabric that best suits your nursery. 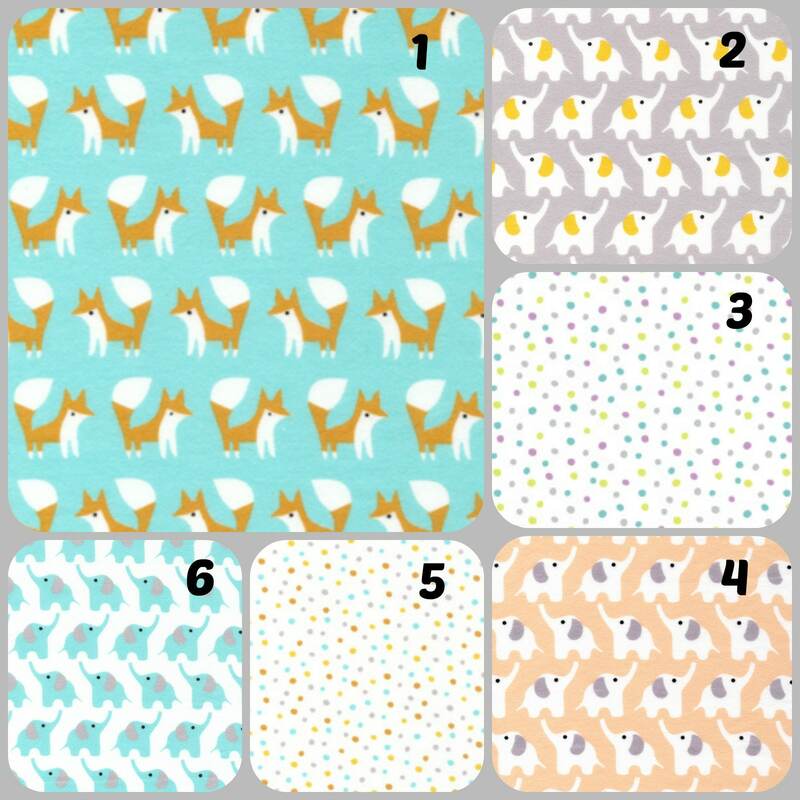 You can choose one of the following prints (see the last picture): 1 Turquoise foxes, 2 Gray elephants, 3 Orchid confetti, 4 Coral elephants, 5 Turquoise confetti, 6 Turquoise Elephants or solid turquoise, coral, orchid, white or natural (the gray flannel is out of stock). 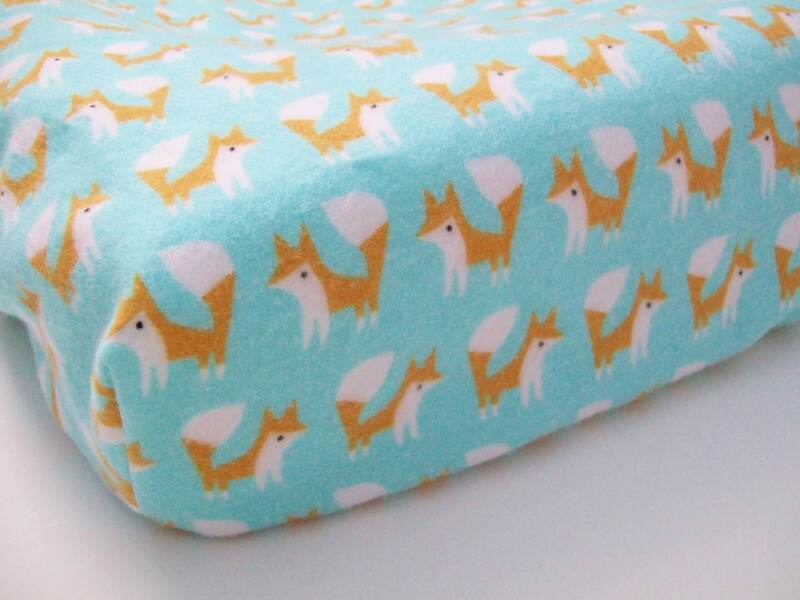 The covers are made to fit changing pads measuring 32.5" x 16" x 4", and have a 5" deep pocket, but we can make them any size you need! They are fully elasticized for a snug fit! And best of all, they fit contoured changing pads! 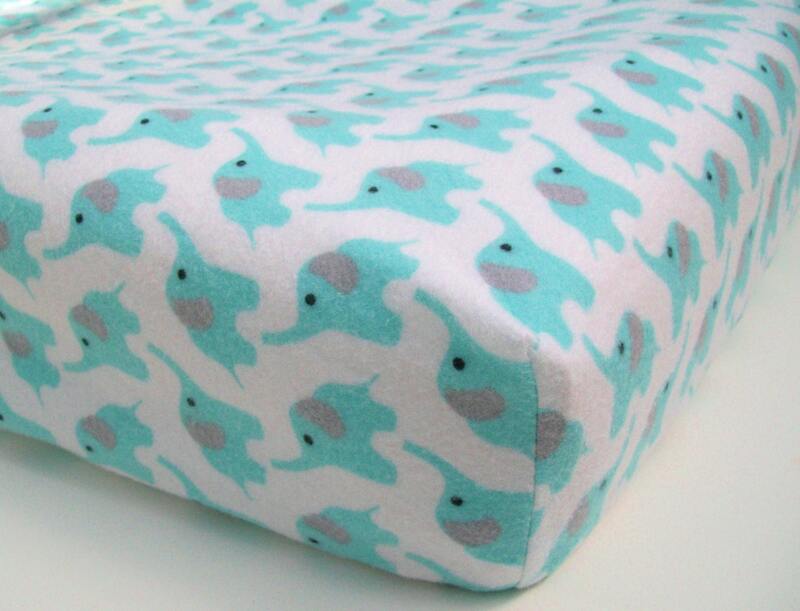 We are also happy to make you a changing pad in any of our other fabrics as well. Fabric is prewashed in vinegar and baking soda (no scents or harmful chemicals) to preshrink fabric. Machine wash cold gentle cycle, tumble dry low or line dry! Love it, perfect fit on my change mat, and super speedy responses and delivery. Thanks. 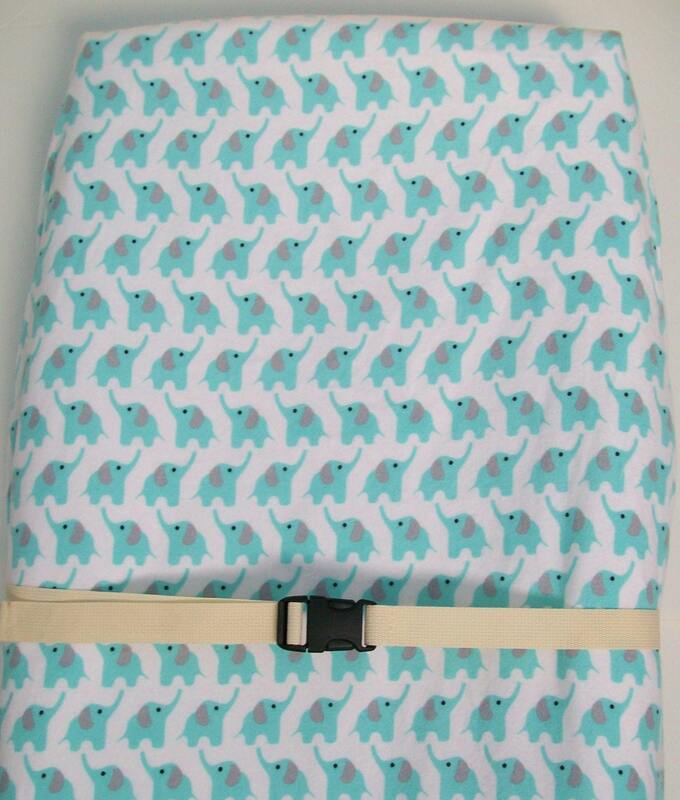 love the fabric, soft and adorable! great sewing job, too. thank you! Very cosy for the baby's bum! Friendly seller and loved the changing table cover! Thank you!